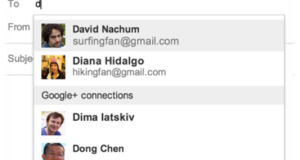 Gmail has launched a new cool feature that enables its users to send Free SMS from the Gmail Chat window. 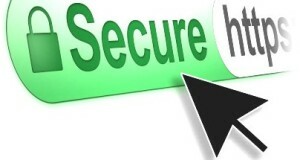 You can send Free SMS to any person provided you know their Mobile Number. You might have noticed popup alert from Google about its new feature however below is the simple guide on how to send free SMS from Gmail to any mobile. 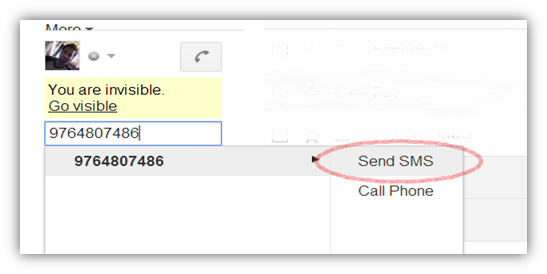 Enable SMS (text messaging) in Chat in Gmail Lab. 2. 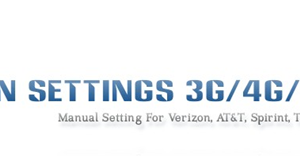 Search SMS (text messaging) in Chat and select Enable and Click on Save Changes. 1. To add and send SMS to any person who is not in your Gmail Chat list, enter the Mob No and select ‘Send SMS’ as shown below. 2. 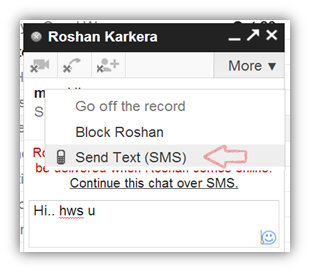 You can also go to the chat window of any of your friend who you want to send an SMS. Click on More drop-down and select ‘Send Text (SMS)’. 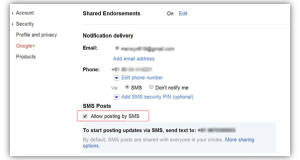 You can also click on ‘Continue this chat over SMS’ to send an SMS as shown below. 3. Enter the Contact name, select the Country correctly and then enter the person’s Mob No and click on Save to add the Mob No to contact list. Once this is done, you will be able to send an SMS to the respective person. 4. Enter your text message and send it. This will reduce 1 point from your SMS Credit. The SMS credit is back and increased by 5 if the person who gets your SMS replies. The maximum credit you can accumulate is 50. Note: Every time you receive an SMS message in Chat sent from mobile phone (for example, when a phone user replies to one of your messages) your credit increases by five, up to a maximum of 50. In case you utilize all your credit of 50 and goes down to zero then you may need to wait for next 24 hours to increase your credit. So, you never run out of credit and can enjoy free SMS daily. 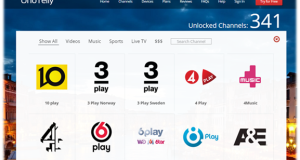 This feature is only available in selected countries, click here for the list of supported countries and operators. This seems to help me, thank you for the information friends …. Gmail is a good option but it wont work for all countries.